Both of these books I received through Netgalley and the publishers, so a big thank you to them! I also decided to start including my ratings of the books I review going forward to give you all a more well-rounded view of what I thought, in case you don't follow my Goodreads. 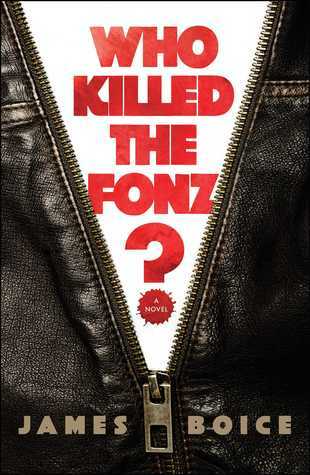 Who Killed the Fonz?- James Boice: This was described as being if Happy Days were an '80s crime noir, and that immediately drew me in. The story follows Richie, now Richard, Cunningham who is a 40-something down-on-his-luck Hollywood screenwriter. After a bad meeting with his agent, he gets even worst news: his best friend from back home, the Fonz, has died in a motorcycle accident. When Richard goes back to Milwaukee for the funeral, he uncovers something fishy about the way Fonzie died-- it was no accident, it was murder. I was a fan of Happy Days growing up, and so I really enjoyed all the nods to the show, and how the chapters were laid out like the days of the week like in the theme song. It was also a very quick read, but I felt like it took almost half the book to really get into the mystery behind Fonzie's death, and it turned out to be a bit predictable. Even though I wished it was a bit grittier, I did enjoy it for the nostalgia factor. The Beast's Heart- Leife Shallcross: Once I saw that this was essentially a retelling of Beauty and the Beast, but from the Beast's perspective, I knew I wanted to read it. However, I was incredibly disappointed. The Beast has been alone for centuries until one day a weary traveler stumbles upon his lands. He offers the stranger food and hospitality from the shadows, and once the man falls asleep, the Beast looks into his dreams and see a beautiful girl he wants for his own. The following day, as the man is leaving, the Beast manipulates him into plucking a rose from his garden. In exchange for this flower, the man must bring his daughter, Isabeau, to stay in his castle with him. The Beast knows the man will not grant his wish, but Isabeau goes despite her father's protestations. From there, the story just really goes downhill for me. I felt there was just no connection between the two, and what I did feel was obsessive and uncomfortable. I also didn't like Beast's actions throughout, such as spying on her family with his magic mirror and constantly proposing marriage despite Isabeau saying no every time. Aside from those issues, I also felt the writing itself was heavy and boring, and felt myself losing interest the longer the story went on. This whole thing was really just not my cup of tea. I was never really a "Happy Days" fan. 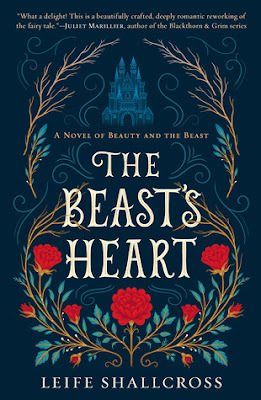 Too bad about the Beauty and the Beast book, that sounds like it would be a good book. Yeah, it definitely had potential, but I just don't think it was executed in the best way. Nice reviews! I haven't found a lot of retellings that I've loved or compare to the originals. They sometimes have their weak spots or are just plain bad. Sad to hear that The Beast's Heart is more of the latter. Thanks, Katy! I definitely agree with you about the retellings. I always hope I'll love it, but it never usually turns out that way.